FALL FLY FISHING AMAZING! 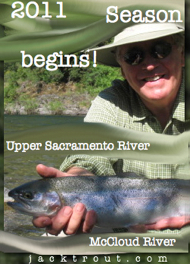 WAY BETTER YEAR IN NORTHERN CALIFORNIA AND OREGON FOR STEELHEAD, TROUT & SALMON ON THE FLY. Give Us A Call This Fall, We Have Your Up To The Minute Information On Fly Fishing The Pacific Northwest & Worldwide Connections. 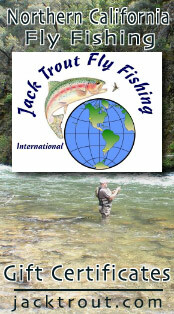 Jack Trout Fly Fishing International & Tours, Operates In 19 Countries, California, Oregon & Nevada. It looks like it’s going to be a banner on the Klamath River this season, steelhead and salmon have been arriving in ok numbers and we have had good fishing on what I would coin as a “normal steelhead year” at this point and time, compared to other years good and bad since 2000. Unlike last years season, described by me as, John Steinbeck’s “Grapes Of Wrath” steelhead season. Where other guides described there trips in 2016, as driving through a desert somewhere on the out skirts of Bakersfield, California, where instead of hooking steelhead, it might as well of been the tumble weeds, or jack rabbits – fishing sucked early. This year offers the seasoned angler real hope and a reason to get out now and take advantage of the salmon push and cult followers, both the steelhead and the spey casting junkies that display moves out on the river like Mick Jagger on stage. So you go there! Now is the time, call that guide you like, tie those flies you love to tie and get there earlier this year. Steelhead fishing is just like morel mushroom hunting, same area, same location every year, it’s just some years are more bountiful than others. That would be this year. Thanks for watching our adventures and calling us for trips, we will never you let you down. Just a couple of weeks left now to fish the McCloud River before it closes on November 15th. Dunsmuir Brewery Opens back up in November. What a great season on this river with all the weather we received over the past winter. Most trout in the southern hemisphere can tie their genes to the McCloud River Rainbow, some were also taken from the San Leandro Hatchery, but the balk of the deliveries were from Livingston Stone and his crew just above where the McCloud used to dump into the Pit River. Before Shasta Lake the McCloud use to flow into the Pit River, imagine a turquoise colored Lower Sacramento River. Don’t forget to use streamers too for the bigger trout in the river. Fish on! The McCloud River becomes a place of utter beauty as the fall colors compliment your views as you land another on dries. Lunch time, another delicious streamside lunch for valued clientele. Mel doing what he loves most, landing large steelhead on a fly rod. What a complete difference form last year, this years salmon runs proved better and the steelhead followed. Give us a call on this prime rib of a fishery, we got you covered until Late January this year, with the most sizable steelhead rolling in around late December traditionally. Nothing but net folks, it’s always great when the fall colors arrive just about the same time as the fall colors of another steelhead returns to the mighty Klamath River. Lots of good people coming out and getting back into the sport of fly fishing, now is the time. Beef dog watching you fish, hoping soon you’ll catch another as the hot lunch that is being made is just about ready. Fun time to come out and spend time with family and catch some great steelhead. I know Beef is real proud of you and always lends his moral & loyal K9 support. Out in the magic Jack Trout Fly Fishing Boat anything can happen folks, dreams do come true. Great steelhead landed, most are about this size in the Klamath, but they do get larger too. I like the Klamath in the winter because it’s more sunny and the fishing is always consistent, especially on a normal year like this one. 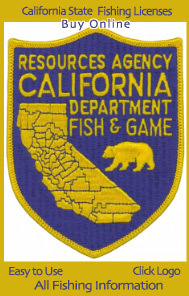 We have redds this year, I see salmon spawning, the Game Wardens are out looking for poachers, all is good for the Klamath River, now when those dams come out, that might be the final healing for this river, only time will tell, no one really knows. 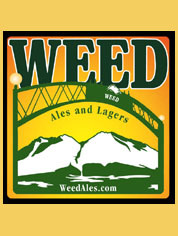 Give us a call to set up your steehead trip on the Klamath River. We had a great time for a couple of days hooking steelhead on the Klamath River. Lynn Neff has loved the outdoors all his life, his descriptions of how in awe he was with the beauty of the Klamath River in October was muchly appreciated that day. I couldn’t agree more, this river and it’s hillsides are incredible brilliant and make fishing here a real eye pleasing experience. On the sunny days the fishing is best on the Klamath River. One of the greatest things happen this year on the Klamath River, they closed salmon fishing. This made fly fishing at the mouth and the estuary some of the best fishing my guide Kenton Bansemer has ever seen. Best sea run cutthroat fishing in the summer and now with the lack of pressure from salmon fishermen, we have had nothing but great trips all year on the Lower Klamath and surrounding rivers. I bet you’d love to land one of these silver bullets on the swing! Now’s the time to make your plans, we have up to the minute updates. Oh man, when I see these photos I want to hop in my truck and get to the Lower Klamath and Chetco Rivers ASAP! Trinity time, time when well known guides like Forrest Brizendine and his Superbowl Halftime Show Pick-Up Truck, rolls over the pioneered hills of the Trinity River. My guide Travis Ortiz can find you a lunker or two..
Jason will be hooking up with his best friend Aaron Martin to make plans for another day in their favorite section of river. Meanwhile, Travis still hooking into monsters. Matt Mitchell did a trip for us this past week with a dad and his daughter, they hooked some great fish. Had a good trip with Matt. Well seasoned guide that really knows the river and his drift boat. lost a big one. Lunch was great. They encountered nature at its finest. We Offer Affordable One Day Fly Fishing Trips In Coyhaique Chile, Pick Ups At Aysen / Chacabuco For Cruise Ship Patrons. Cabin Rentals On Our Private Fisheries, We Can Make Your Journey To Chile A Successful One. Amazing views and sunsets in areas where you don’t see others. Comfortable and affordable fly fishing, we can work with your budget so you don’t pay a retailed price. We save people on travel world wide everyday, see why we are #1 fly fishing outfitter in the world for fly fishing on Tripadvisor, it’s our experience that makes the difference. 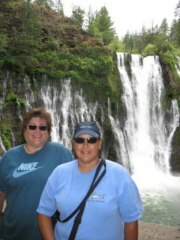 What a fun day they had on the Lower Rio Simpson in the region of Aysen. Do you like seeing huge trout swimming to take your fly in front of your face? If so, this is the lake! Great views and great trout live here folks, you will love this region of Chile. My guide Tolin Eduardo Otarola is an expert of over 25 years guiding, he can get you into lunkers. This guy is old, has a lot of war stories you can tell. So come on down, we have a great affordable fly fishing packages or a one day trip available near Coyhaique Chile. My wife Carola is from there, we can take care of you on a personal basis, this is what we love to do since 1994. Did I tell you we catch lunkers in rivers around there? Amazing scenes and views for your streamside elite lunch we serve to you daily. Remember, it’s a Jack Trout trip, that means you’re going to have a great guide, a great lunch, gear included for an affordable price. That’s how we’re are changing the fly fishing industry. Pete Gordon, my European-English fly fishing coordinator & guide with a lovely lunker brown in the River’s District of Chile. We can Provide one day fly fishing trips out of Pucon, Valdivia or Panguipulli, Chile. Anyone for a float on the Rio Petrohue, we can pick you up at the cruise ship terminal in Puerto Montt or at any hotel in the towns of Puerto Montt,Puerto Varas or Ensenada Chile. We guide wade trips and provide & include all the gear in our prices. 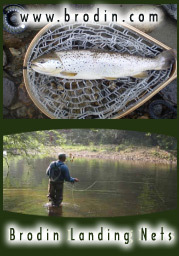 We fish spring creeks as well as floating a lot of different rivers in the region. 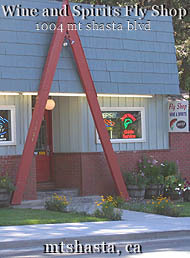 My guide Mattias Bayer is a fly fishing legend in the area and always provides a great day with a fantastic bbq lunch. Making it a great experience is what we’re all about. Big browns is what we’re talking about folks in amazing settings with 90 % of Chile’s birds as your witness on the Rio Maullin. 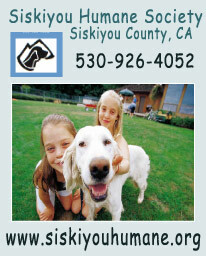 We have private river ranches we guide our clients on in Jack Trout Driftboats. 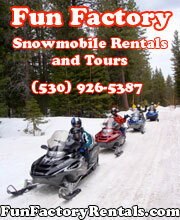 8 Days 7 Nights Lodging in a 4 Star lodge, with Breakfast, Lunch Included, All Floats $2750 per Person 2 Person Minimum. Chile Lakes & Rivers District Package. One place that’s easy to have many double hook-ups on dries. Our past clients Rob Lowe & Scott Keller sure thought so and went on to say in a tripadvisor review that this was the best fly fishing trip of their lives. The dinners in Argentina are simply best I have ever had. My guide Tuqui is a seasoned area veteran who we’ve worked with for years, let us set up your mini fly fishing package for San Martin de los Andes, San Junin de los Andes or Bariloche on some of the best rivers for fly fishing in Patagonia Argentina. I am not kidding about the food, the Argentines are to meats & bbq’s what the French are to cuisine. SERIOUS! My guide Tuqui with our friend Arturo the owner of the Ruca Hueney Restaurant in San Junin de los Andes, Argentina for their first float on the Rio Chimihuin. The spring open season is just around the corner. Best Steak Place On Mother Earth, thanks Arturo!! Art Teeter – OVER 25 YEARS OF PROVIDING FLY FISHING ANGLERS QUALITY EXPERIENCES ON FALL RIVER & SENIOR GUIDE. You can search high and low, but you will not find a better fly fishing guide who instructs anglers for still water dry fly techniques. Art Teeter is a legend on the largest spring creek in North America, Fall River. Chris Wharton ~ Ladies and Gentlemen, on Pyramid Lake, always landing these trout that look like prehistoric dinosaurs. Maybe that’s because they are Lahotan Cutthroats and that’s close enough for me. 🙂 If you get near Reno, Nevada give me a call and we can get you set up and ready. Ryan Williams is at it again, landing large lunkers on the Lower Feather River on flies he invents and devises. Another day, another silver dollar as he lands a beauty with valued clientele. Sweet colors on this one folks. First Kayla shows our client how to execute an effective cast and use the tip of the rod to do most of the work for you. Next the client catches a beauty and the rest is history. Meanwhile, Dave Barbieri and Ryan Williams are guiding Chuck Williams and some past clients from years ago down on the Lower Feather River with a huge steelhead caught. There have been some real nice steelhead coming out of the Feather River, give us a call to schedule your trip. Putah Creek – We got you Bay Area fly fishers covered for about another month, then we don’t guide it in the winter, we come back in the spring when spawning is all over, which is respect for Putah Creek. Ryan Williams & Kayla Katayama are my guides on Putah Creek. There’s Ryan way back when, what a great picture! He’s an All American Kid Folks!!! You knew that. Putah Creek is a great place to work on your high stick nymphing skills. The Sandy River is just now starting to turn on, by late December look out! So you want to go to Portland hah, maybe stay at McMenamins Cystal Ballroom Hotel, grab a gourmet donut at Bluestar donuts and get out there for some steelies, wake up the next morning and have crab benedict arnold at Jake’s Seafood restaurant. Sounds like a plan! When it’s time to go in search of the beast, you go north folks. I have just the guide for you on the Sandy River in Oregon. Brian Silvey Brian Silvey Brian Silvey Brian Siilvey!! Whoohooo Brian Silvey Oregon Legend!! Deschutes River Oregon, Stone Fly Hatch, June – July 2018 – Catch it! 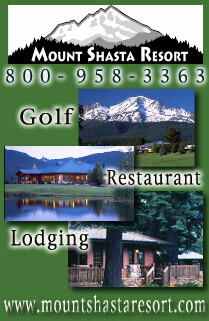 We are offering steelhead trips out of Maupin Oregon for steelhead all winter long, give us a call. Guess who? 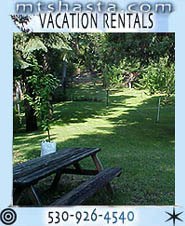 I promise we’ll make it a rewarding successful experience for all who come, free lodging and restaurant lists too. Cuba Classic Tours Is Your Tour Company When You Visit Havana, Cuba By Cruise Ship. We pick people up at the Sierra Maestra de San Francisco Cruise Ship Terminal. We’ll send you photos of the exact location we pick you up at. We make Cuban travel easy in an air conditioned classic car. My Guides Jesse & Katia Aguilar are known as some of the best tour guides in all of Cuba and because of this our business has really grown. We are proud to announce we are the #2 Classic Car Tour Company on Tripadvisor for Havana Transportation. Let us plan your trip to Cuba, we help Americans get visas, custom itineraries and more. Many Americans are happy in Cuba and benefiting from our cultural history tours out of Havana. Trips down to Vinales, Cuba to see some of the most beautiful locations Cuba has to offer. 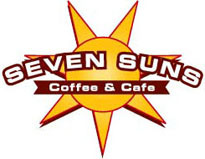 Best dining spots for couples, families or groups, that’s our specialty, knowing where to bring people based on particular interests, group size and best reputations and locations. I highly recommend Cuba Classic Tours. From the initial contact with Jack in the USA to the tour in Havana with Jesse, everything went off without a hitch and was an excellent experience. Before departure, I looked at many tours and talked with various people about how to get a tour direct from the cruise dock, but deep inside I always had my doubts. Jack helped to set everything up, provided detailed instructions on where to meet, and outlined our tour in detail. When we arrived, Jesse was waiting for us exactly where we were told to go, and the tour started from there. Jesse speaks fantastic English, and is truly an encyclopedia of Cuban history and culture. Our tour lasted almost 7 hours, and Jesse was very careful to align our tour to our wants and needs. We saw everything on our list, got to ride all around Havana in a classic Chevy Bel-Air, did some shopping for various items including cigars and rum, and had an excellent lunch (not included) in Old Havana near the Capitol. Jesse is also quite the photographer, and is always willing to take some snapshots of us wherever we asked. Overall, you can’t go wrong. For the less than price as a cruise ship tour, you get twice the time with a professional that speaks fantastic English. You can take the risk at the cruise terminal if you want, but in this case, you know exactly what you are getting and are sure to have a great time. Thanks Jack and Jesse for a memorable visit to Havana that we will never forget! Departed out of Tampa Florida on Carnival Cruise Lines for our Cuba trip. We had pre booked our Cuba Classic Tours before we left based on reviews we had read and glad we took the time to find the right tour. Our tour guide was Jessie and we could not have been more pleased with him and our tour. We wanted to experience some great Cuba food and we were not disappointed as he took us to a beautiful little out of the way dinning spot that had the best black beans and pork I’ve ever had and I’ve had plenty but this was the real deal. Jessie took us where ever we wanted to go or see and it was very evident he was proud of his country and its rich history. The only disappointed was we were not able to go to Ernest Hemingway’s house since it was closed due to the rain but we can do that on our next trip with Cuba Classic Tours. I just came back from DC and the regs on Cuba’s side have changed so that now Cubans in the US will be able to take their boats and go to Cuba. This will be effective in 2018, beginning January 1st.2018. The changes include their ability to travel on recreational boats for diving, fishing, etc. It occurs to me that we can do business. When is a good time to talk. I cannot say enough good things about tour guides Jesse and Katia. Not only are they warm, wonderful people, but they are two of the most professional, knowledgeable and efficient tour guides my friends and I could ever have hoped to meet. We received a beautiful and comprehensive tour of the city, the historical sights and the countryside in our gorgeous classic cars. We toured with them for 3 days and would recommend them to anyone who is lucky enough to see this remarkable country. Redding Rotary invited me down to speak about Cuba and what changes are being made if any. The answer is none, you can still go without any problems, give us a call to go over any details, almost everyday, we are sending people to Cuba, obtaining visas for entry or drawing up another itinerary for tours or fly fishing. The group really enjoyed my talk and I could see many people wanted to go. We auctioned off some Cuban cigars for the club and the talk was a total success in fact, since then, the group has invited me back to speak again. 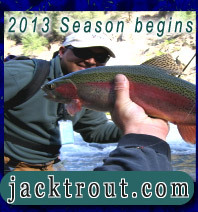 This is a Jack Trout Fly Fishing International Trip Only and Not In Association With Any Other Outfitters. The Only One Day Fly Fishing Trip out of Havana to the Bay of Pigs 2 1/2 hours away, we can provide transportation through Cuba Classic Tours for a safe journey back and forth. You can fish the oceans flats or fish in the Rio Hatiguanico for tarpon in fresh water. When you go to Havana, Cuba we have you covered from America to Cuba and back, we do it all the time. We got back from Cuba on Sunday night. Just wanted to let you know we had a fantastic trip. Jesse was outstanding as a local tour guide. The fishing guides were great even though the fishing was slow due to unusually high water levels. I attached a few pics (I’m the one with the bonefish). Will definitely go again. Hopefully the political issues turn in favor of the wall coming down soon for the Cuban people. I work with the best fly fishing guide in Cuba, we have all the right equipment always, the gear is included as I brought down 6 rods and 6 reels in April so clients would not have to pay extra for gear. The tarpon fish is incredible! That’s a mighty fine catch there partner. Can you imagine, what an amazing fish to land in that exact location, that’s what is so great about Cuba, it’s the Disneyland of fly fishing. SERIOUS FLY FISHING AND NON ANGLER FAMILY PACKAGES FOR CUBA. We also offer high end packages too on Cayo Largo through Avalon Centers, I am their western United States salesmen, so I can help you with any of their packages for no extra cost to you. Best lunch I ever ate in my life was in Cuba. This is the part where having Cuba closed when the Canadians & English are going there freely, doesn’t make sense anymore and is actually dangerous to national security. Go there to see yourself, the place is amazing, like stepping back in time and VERY safe. Our client Julian Roberts who is known nationally for being one of the best tournament fly fishers in the world, had a Super Grand Slam one day and the next day he had a Grand Slam. Where else left in the world can that be done? Saint Peter’s Gates? Great place for non anglers, we can set up your family vacation in Cuba. Paradise Beach voted #1 beach on Tripadvisor in the world a few years back. Stop it Julian, you’re killing me. 🙂 What an amazing permit folks. There’s my tarpon, that was a fun hook up, Landy my guide was top rate. That tarpon is now on my wall in my office, well a copy by photo of course, probably a few inches longer..
One day guide trips out of Nassau & Andros Bahamas, with gear and lunch included, I have the best guides! Let us pick you up at the cruise ship in Nassau Bahamas and take you twenty minutes to the fly fishing. Stay in Fresh Creek, Andros Bahamas and we can take you fly fishing daily. Non anglers tours also available to see the pink flamingos and other national parks. Let us help you with your itinerary and details for your trip to Iceland, our team of experts know all the ins and outs to make your fly fishing adventure to Iceland a successful one. Have a question? 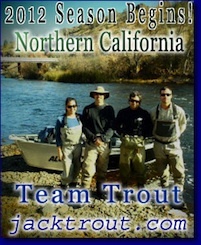 Send us an email at – info@jacktrout.com or call us in the United States or England. 530-926-4540 USA Jack Trout or Pete Gordon (44) 1579351128 England – European Division, Jack Trout Fly Fishing International, Inc.
You love fly fishing the amazing rivers in Romania, if you are traveling through Europe give us a call, we have one day trips set up all over Europe and can help you with custom itineraries and advice. Bet you never considered Romania, but you should, it’s beautiful there. With the same mayflies we know and love in the United States and worldwide. My Romanian fly fishing guides Smara & Liviu are looking forward to your arrival. Great rivers and quiet scenes, you will like hiking around the rivers of Romania. The towns, food and culture is also a highlight that will compliment your visit to Romania. 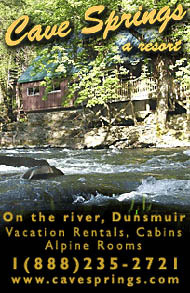 Holidays right around the corner call us for any amount fly fishing or touring gift certificates.